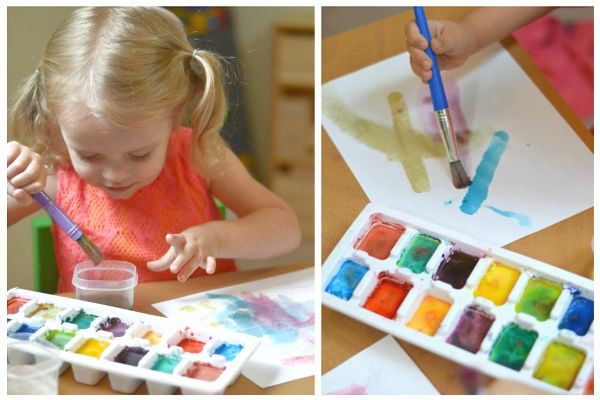 Make your own watercolors at home using only 2-ingredients! We love making our own paint at home. The process is fun, and the results are always a surprise. 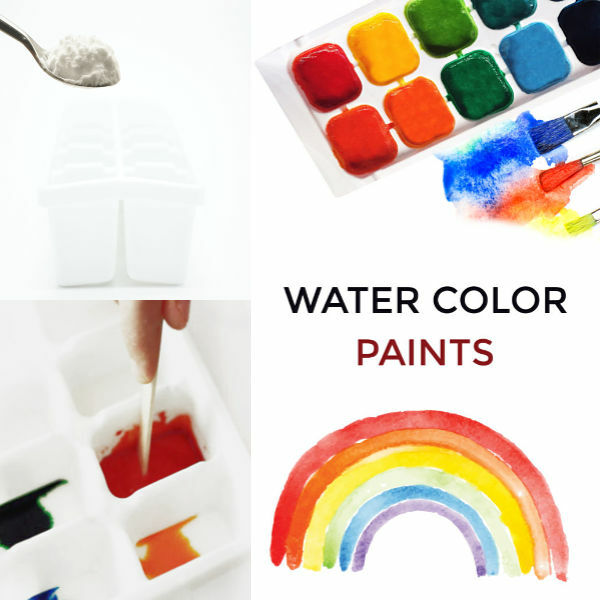 Today, we experimented with a couple of household staples to see if we could make watercolor cakes, and the results were just too fun! Read on for the easy recipe. 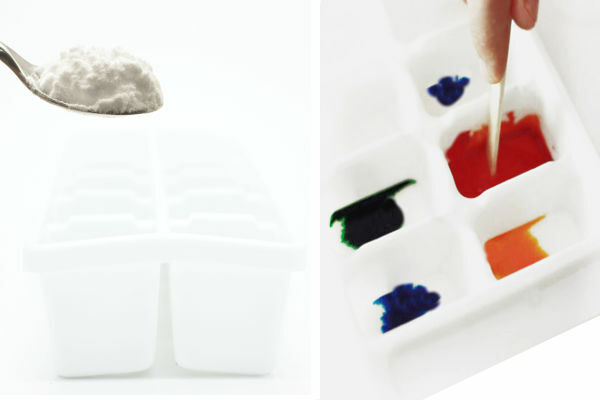 Begin by filling each slot of the ice cube tray roughly 3/4 of the way with baking soda. 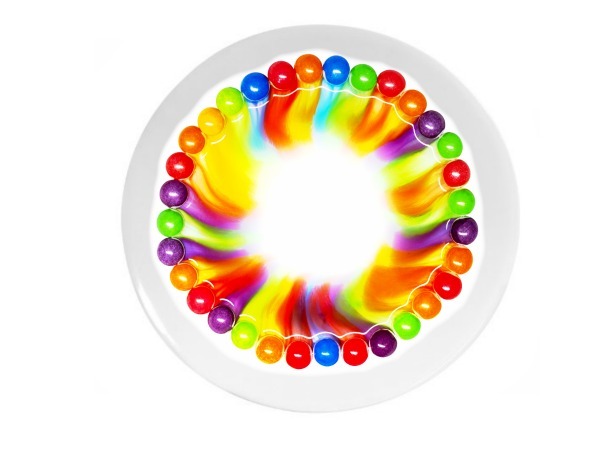 Add 1-2 drops of food coloring to each slot, using varying colors as you go. Then, slowly begin to add water to each slot and gently mix. As you add water the baking soda will dissolve. Finish the slots with more baking soda, slowly adding more and gently mixing until you have a really thick consistency with minimal residual water. 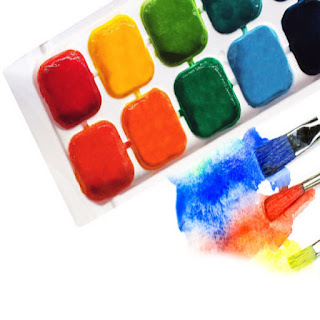 From here you can leave the watercolor cakes out to dry, or you can pop the tray in the freezer for faster results. 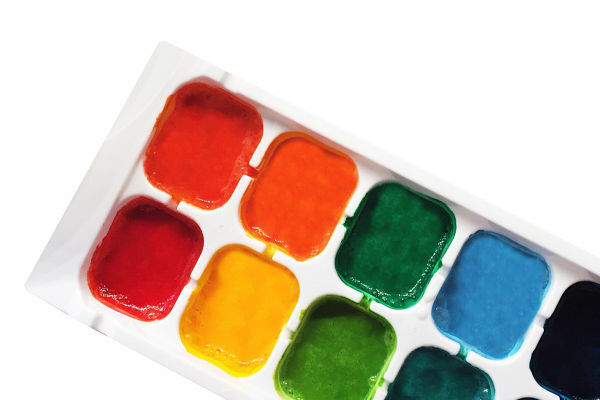 Drying out of the freezer may take up to 24 hours, but in the freezer the watercolor cakes will be set in 3-4 hours. 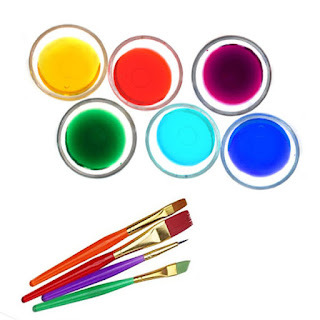 Once the watercolor cakes are set you will be left with beautifully vibrant paints that kids can use again and again! 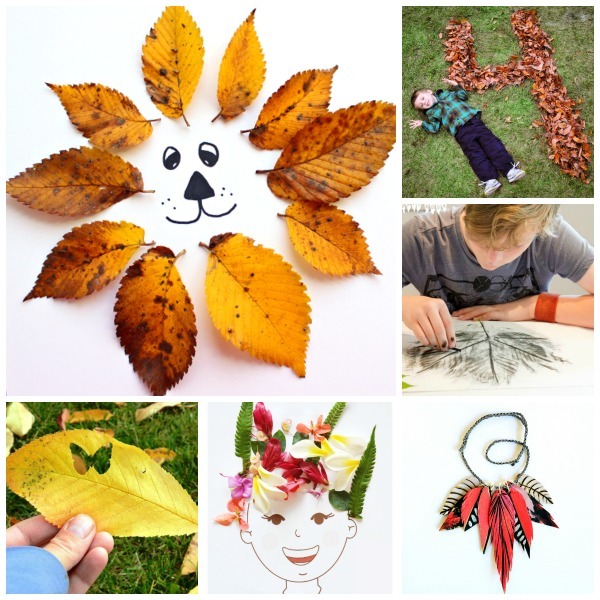 All you need is a bit of water and a few brushes! 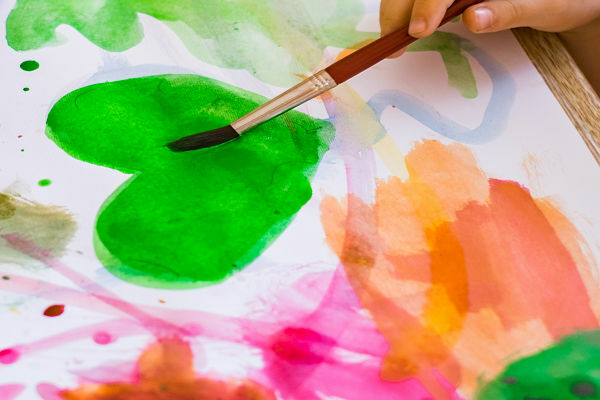 Give kids vinegar instead of water to paint with, and they will stare in awe as the watercolors FIZZ & bubble as they make art! 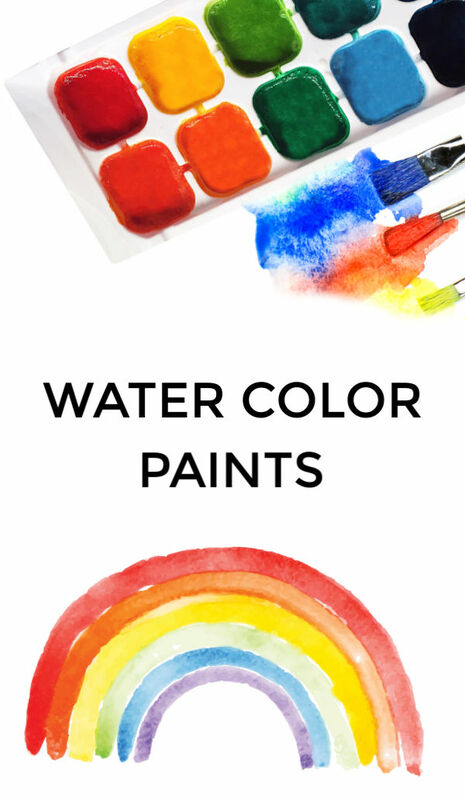 Another fun way to play is to let kids paint their art using water like normal. Then, they can squirt their creations with vinegar to make their artwork FIZZ.